Open the phone's bluetooth, search bluetooth devices,select TWS-K5S model,then click it to connect the device. 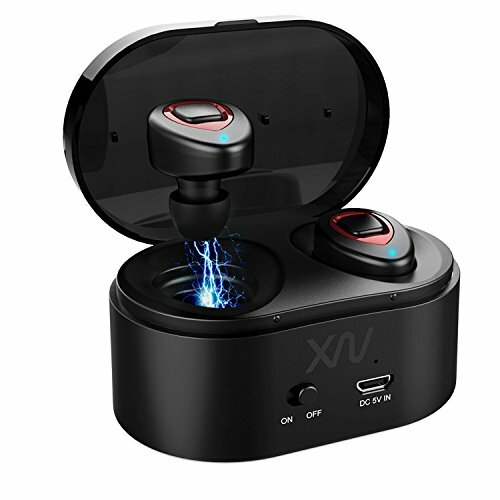 【SUPER EASY USING AND COMFORTABLE FIT】This wireless earbuds is carefully designed according to ear geometry for secure and comfort wear, perfect angle and 3 sizes of ear cap,there is always a will for you. Only 0.17 oz for one, not easy to slip out, allow running, jogging, and high intensity activities to be enjoyable. If you have any questions about this product by XIAOWU, contact us by completing and submitting the form below. If you are looking for a specif part number, please include it with your message.